The William McIntosh Chapter NSDAR was organized on May 24, 1913 in Jackson, Georgia. 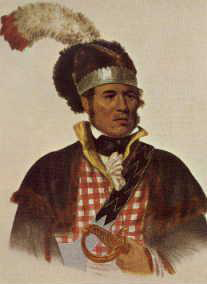 The chapter was named for General William McIntosh (1775-1825), a half Scot and Creek Indian Chief who signed the Treaty of 1825 at the Indian Springs Hotel that ceded 4,700,000 acres of land occupied by the Indians to the State of Georgia. The Indians, in return, were to receive an equal amount of land west of the Mississippi River, along with the sum of $400,000. Unfortunately, he was opposed by some Upper Creek Indian villages and the Cherokee at New Echota and was killed on April 30, 1825. No money was received from the national government or the state government, and only 600 acres of land was set aside. This is the area of Indian Springs State Park.